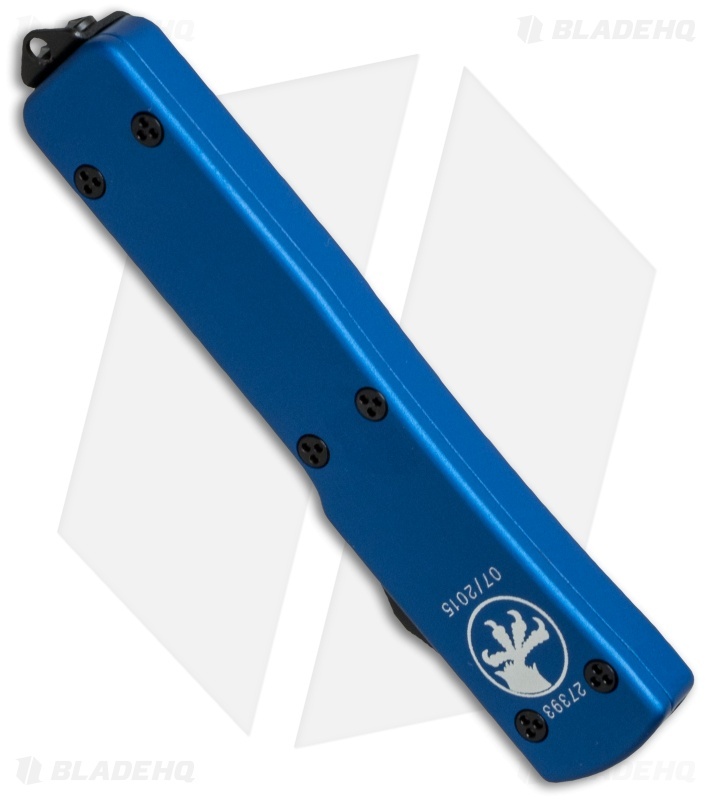 This UTX-70 has a black finished tanto blade with a partially serrated edge and blue anodized 6061-T6 aluminum chassis with tactical black hardware and pocket clip. If you're looking for an extremely compact, concealable OTF knife, the UTX-70 is a perfect match. At 70% of the size of Microtech's classic Ultratech model, the UTX-70 knife has the legendary design and double-action performance of its bigger sibling while providing unrivaled everyday carry comfort. Deploying the blade on the UTX-70 — as with any Microtech D/A automatic knife — is accomplished by sliding the firing button forward. It requires a firm push, which eliminates the possibility of unintentional firing. To close the blade, simply pull the firing button back. 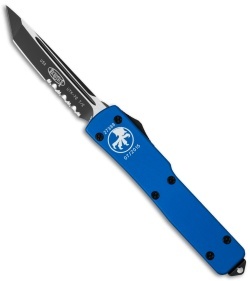 Action is predictably swift and precise, a distinct characteristic of Microtech knives. These little OTF's are surprising useful and every bit as solid and dependable as their larger siblings. I think they fire harder than a full size Ultratech. 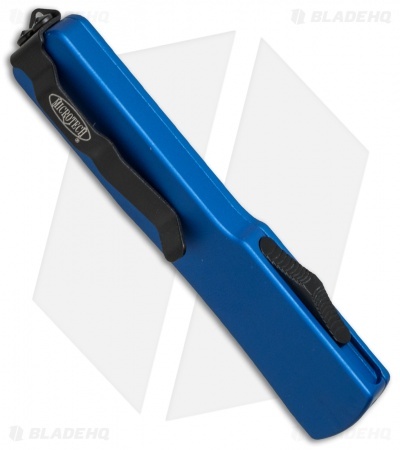 These are very stealthy and can be easily palmed or concealed in a self defense situation. The lanyard hole makes easy to attach to a keychain as well. When I ordered this is wasn't until I began to carry it that truly appreciated its worth. Capable of handling everyday EDC chores with ease, and a very potent self defense option, the UTX line is a must have if you are a OTF user.